It's finally decided to be summer here! So exciting. Not too hot, thankfully, so I don't have to complain. Much. My brother-in-law was in town, so we also spent a lot of time at the beach. I don't know how one follows the other, but so it is. It's perfect beach weather — if you don't like being too hot and don't care about going into the water. So, perfect for me. We watched a glorious sunset and snapped some family photos. Which I was going to share, until I realized I'd probably be stealing my Wordless Wednesday thunder. Usually I have some silly phone photo to share, but alas, my phone has been doing this inconvenient little thing where it won't stay on. Yeah, not as useful a feature as you might expect. But that's ok, because I've got sandal weather, clear skies, Americana, a lush garden, long walks, the beach, and long walks on the beach to enjoy. Summertime. How is it where you are? This post about a non-parent’s perspective on kids in a worship service brought me to tears. The good kind. The assumptions about my child-free status are that I either don’t like children or I grieve the lack of them, I am immature, I must still want them even if I say I don’t, I am not a complete woman, my husband will love me less and I’ve robbed him of his dreams, we are going to grow old alone, and I am prejudiced against your children and your life decisions. Taken all together, I am a terrible, no good, very bad person, a child-hater who openly dishonours her husband. I am selfish and lacking in maternal warmth. These kinds of assumptions are common, and they make me more than a little angry. They minimize who we are in this world and the roles that we play, and they define us by what we are perceived to lack. I really like this perspective of a child-free person who still respects those of us who have chosen to be child-full. I attempted to write with the same respect when I got out my own thoughts on the topic yesterday. P.S. Don’t read the comments. You’ll find the same old poison both sides spew at each other. Enough, already, people. I would like to put forth the radical notion that, if a fat person is fat by choice, it’s okay. It can be a hatred that’s hard to let go of, even for fat people, because letting go of that hatred, and replacing it with acceptance, can feel akin to giving fat people permission to be fat. But being in the position of feeling like permission is yours to give is a manifestation of privilege. And maybe it’s all right to let that privilege go. 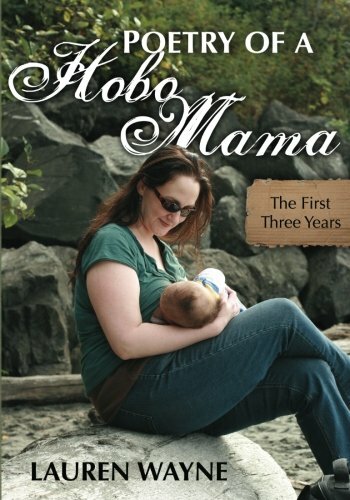 Oh, my goodness, I am so happy for this review of Poetry of a Hobo Mama from The Mule! For some reason in spite of these credentials I was a bit skeptical when I took my first dip into her volume of poetry. Maybe it's because it's so easy to write poetry badly, and these days anyone with an internet connection can publish the sort of dross that a few years ago would have stayed safely under the mattress. My cynicism quickly melted away, however, within moments of beginning to read Poetry of a Hobo Mama. Wayne forges short, stark, luminous poems out of the deep melting pot of motherhood, bringing us little creations filled with exquisite detail on birth, love, miscarriage, breastfeeding, mortality - even elevating pumping to a thing of beauty! (The first tantalizing drip — drip — drip / like the flirting of a sprinkler / just out of reach on a hot day). I often get reviews that say, "I expected it to be bad! And it's good!" And I totally get that (and am appreciative it's not the reverse), because doesn't "self-published poetry book" just scream at you to run away? I'm so glad people are liking it and connecting with it. Read more at The Mule. 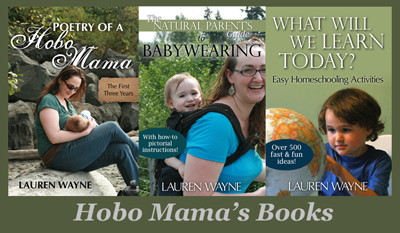 You can buy your own copy of Poetry of a Hobo Mama at Amazon or CreateSpace. I hope you saw our latest collection! We were talking Family Creations this month, and a creative carnival it was, too. 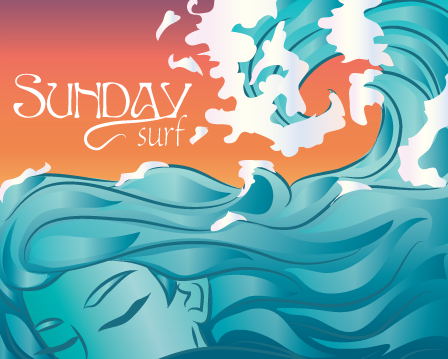 All the links are live and waiting to be savored — and pinned! Be sure to check out my post for Live Positively — help your favorite park win a grant of up to $100,000 by getting out the vote in your community! Here's a follow-up post with how exactly to campaign for your park. Rally your community, and get parkgoers checking in and voting. Votes need to be in by TODAY!